The quickest way to model a part is to download it! 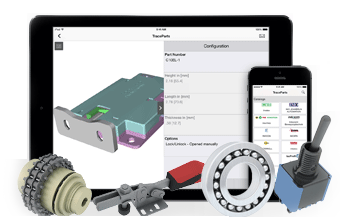 In addition to the 100+ Million supplier-certified 2D and 3D drawings available from the TraceParts engineering platform, here is our monthly selection of new product ranges recently added and ready for download. Get access to one of the largest CAD libraries in the world, anywhere you are, from your smartphone or tablet. Get Free and Instant access to Millions of CAD Models now! from hundreds of Suppliers’ Catalogs. Try out our solutions to enhance your design process.